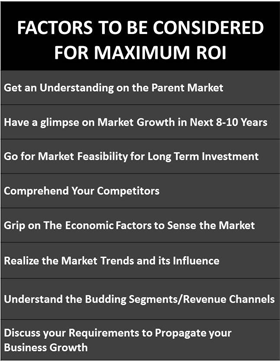 The companies are actively engaged in launch of new products to gain competitive edge over other players. For instance, Edwards, a global leader in emergency communication, mass notification and life safety system introduced a new series of high and medium-power speaker arrays and portable loudspeaker systems called HyperSpike. 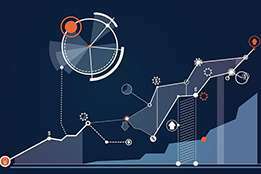 Major mass notification system manufacturers are continuously looking for potential acquisitions to strengthen their position in the market. The mass notification system manufacturers are focusing to develop more reliable and more accurate systems in terms of notifying users as rising industrialization across the globe has substantially raised the need of notifications and alert systems to alert the employees in case of emergency situations. This enhancement in the mass notification alert system will strengthen public safety and broadcasting of events and disasters among the masses over the forecast period. 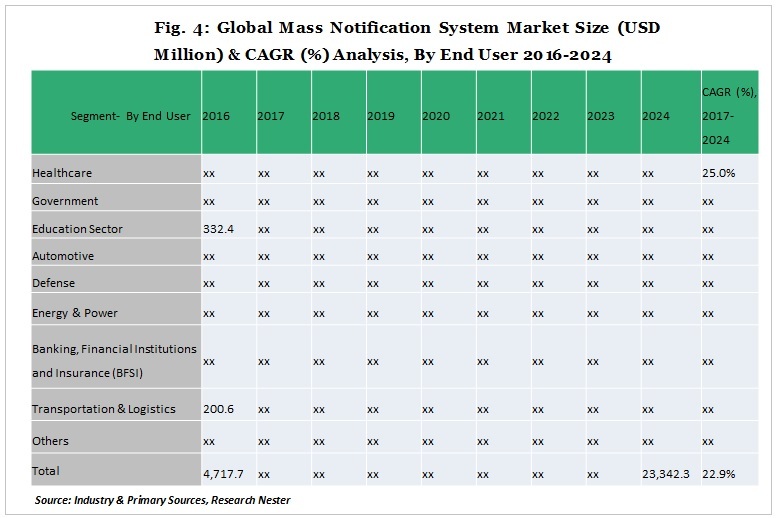 The rising demand for mass notification systems is predicted to supplement the global mass notification system market to reach significant valuation of around USD 23,342.3 Million by the end of 2024 as compared to USD 4,717.7 Million in 2016, expanding at a CAGR of 22.9% over the period 2017-2024. 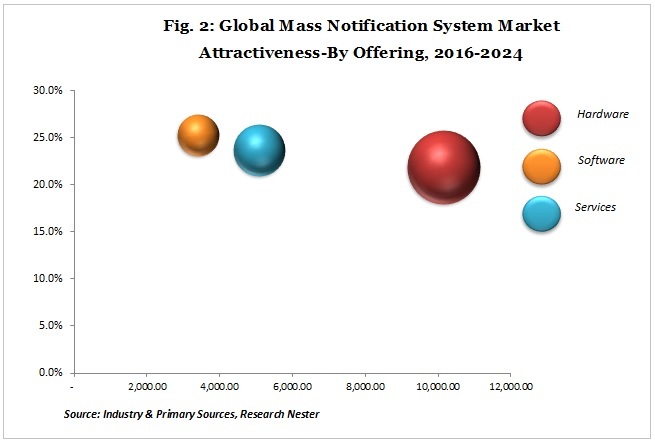 The global Mass Notification Systems Market is segmented by regions into North America, Latin America, Europe, Asia-Pacific and Middle East and Africa, out of which, North America dominated the overall mass notification system market during 2016 and is expected to behold its dominant stance over the forecast period. The U.S. held the highest share in North America owing to prevalence of natural disasters in the country. Further, with the adoption of US building standard codes in the Canada, because of which it is compulsory to have a reliable Mass Notification System (MNS) installed in public facilities, the market of mass notification system is likely to grow strongly in Canada in upcoming years. Europe holds the second largest market share in global mass notification system market. The recent terrorist attacks in France are anticipated to positively impact the growth of mass notification system market in the Europe region by witnessing a CAGR of 24.4% during the forecast period. Further, Asia-Pacific is expected to showcase lucrative growth over the forecast period by registering a CAGR of 26.3% owing to rising industrialization and growing incidents of disasters in the region such as China, Japan and others combined with increasing adoption of mass notification system for emergency alert and management in Australia. 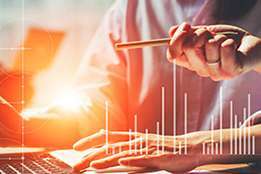 Furthermore, Latin America and Middle East & Africa are predicted to expand with modest market shares in terms of revenue over the forecast period. 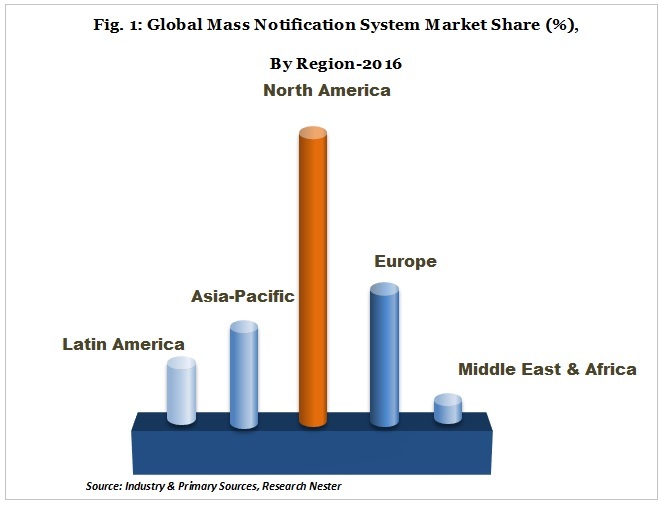 The global mass notification system market has been segmented by offering into hardware, software and services, out of which, the hardware segment dominated the overall mass notification system market during 2016 and is expected to behold its dominant stance over the forecast period. The hardware segment is projected to achieve Y-o-Y growth rate of 30.4% in 2024 as compared to previous years owing to better efficiency and less alert time among other advancements. 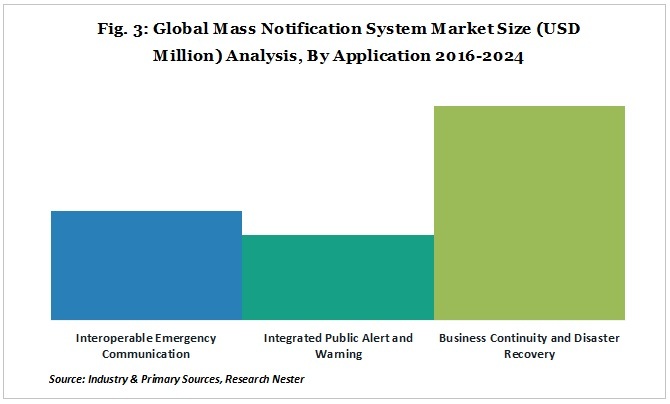 The global mass notification system market has been segmented by solutions into in-building solutions, wide-area solutions and distributed recipient, out of which, in-building solutions is predicted to dominate the market by reaching highest market valuation over the forecast period. Along with that, the distributed recipient is expected to witness highest CAGR over the forecast period. The global mass notification system market has been segmented by deployment into on-premises and hosted, out of which, the hosted segment is projected to observe a growth rate of 4.5x over the forecast period. 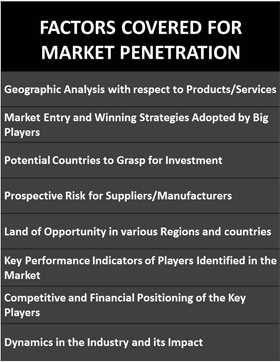 The global mass notification system market has been segmented by end-user into healthcare, government, education sector, automotive, defense, energy & power, banking, financial institutions and insurance (BFSI), transportation & logistics and others, out of which, the healthcare segment is expected to witness highest CAGR of 25% over the period 2017-2024. The global mass notification system market is thriving on the back of rising occurrences of natural disasters and terrorist activities which has led to rising security concerns towards reducing the human and economic loss across the globe. Further, the government and defense sectors are aggressively adopting mass notification system to minimize the damage and life loss when an attack takes place which has also furthered the growth of the market. In addition to that, the rapid urbanization & growing development of advanced infrastructure facilities are believed to propel the growth of the global mass notification system market during the forecast period. The updating and cleaning of information at intervals are some of the key elements of repair that are required for the maintenance of mass notification systems which cost additional money to the end-users. Along with that, high cost of equipment and lack of strict regulations are likely to hinder the growth of the global mass notification system market in upcoming years. Some of the affluent industry leaders in the global mass notification system market are IBAM Systems LLC, Samara Security & Safety Systems, Honeywell International Inc., Shamrad Electronics Ltd. and Evigilo. 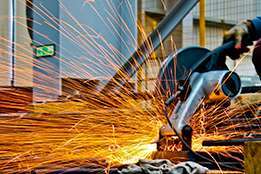 Samara Security & Safety Systems, a leading company in field of safety and security offers a wide spectrum of products and services that include the design, supply, installation, testing, commissioning and maintenance of firefighting, fire alarm, security, CCTV and access control systems. Further, Honeywell International Inc., a fortune 100 company, invents and manufactures technologies to address tough challenges linked to global macro trends such as safety, security, energy and operates on four operating segments: Aerospace, Home and Building Technologies, Performance Materials & Technologies and Safety & Productivity Solutions. Honeywell International Inc. has aggressively acquired various companies in the past few years such as S.C.A.M.E. Sistemi S.R.L. and many more. These acquisitions helped the company to widen its portfolio for security and building business segment. 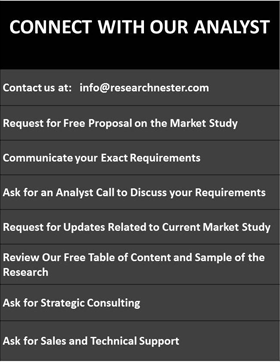 Additionally, other key and niche players are working towards the expansion of product portfolio along with investing in high quality R&D to develop highly engineered and innovative technologies in order to gain competitive edge in the mass notification system market.